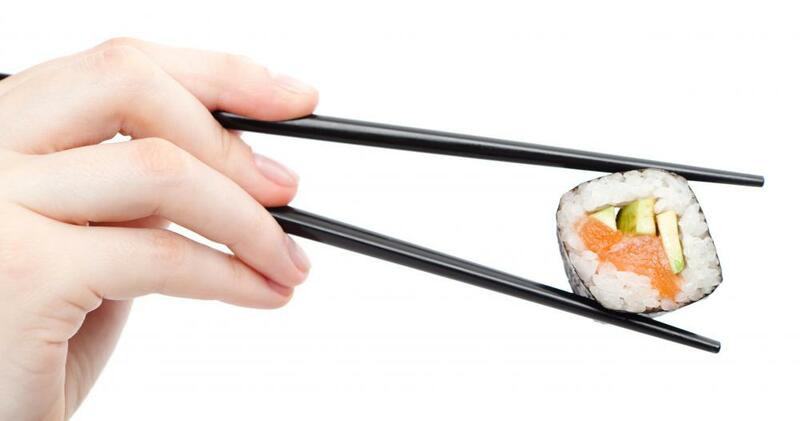 Chopsticks can be made of bamboo, wood, plastic, or stainless steel. 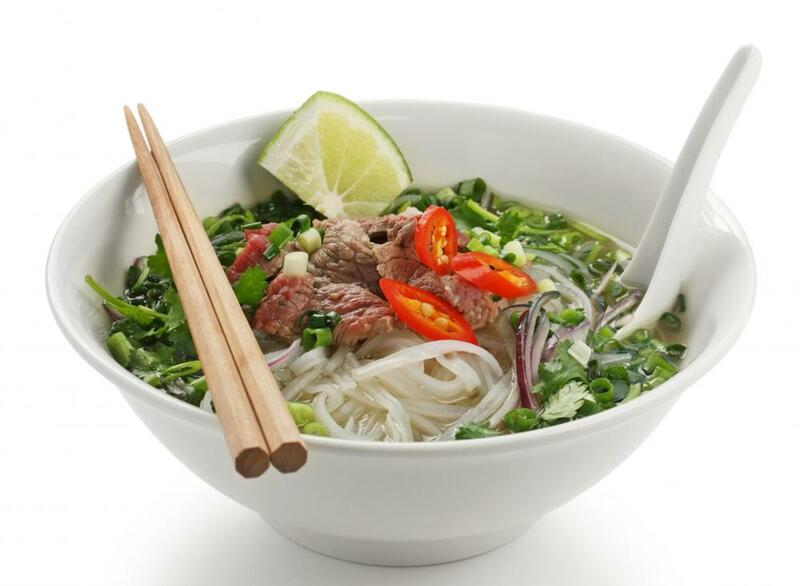 A bowl of pho, with a set of wooden chopsticks. 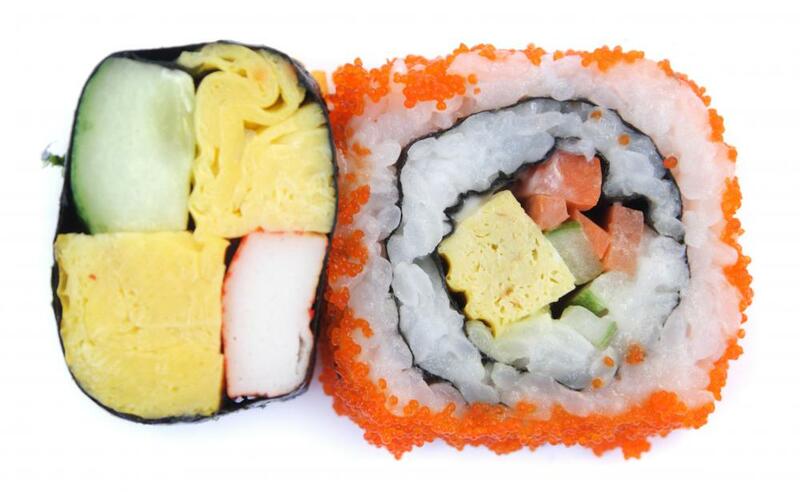 Sushi is often eaten with chopsticks. There are a number of things to think about when purchasing a chopsticks set for use at home or as a gift. Thinking about these things ahead of time will make the purchase much simpler, as some forethought can narrow down the buying options, making it much easier to select a chopsticks set which will fulfill particular needs. Once a basic list of needs has been compiled, buyers can compare prices on sets of particular interest and find a set which is visually and financially appealing. The first thing to consider is how the chopsticks will be used. Different Asian cultures have different styles of chopsticks, with some chopsticks being markedly different. If the chopsticks will be used to serve Japanese food, for example, it would be culturally inappropriate to use Chinese-style blunted chopsticks. China, Korea, Thailand, Japan, Vietnam, Indonesia, and Tibet all have different traditional chopstick styles, most of which are readily available from Asian markets and import stores. As coordination is often desired, considering the number of chopsticks which will be needed is advisable. Much like fine silver, chopsticks sets are sold both individually and in large groupings, making it possible to purchase one pair of chopsticks, or a chopstick service for 40. Chopstick buyers should be aware that uneven numbers and mismatched chopsticks are considered inauspicious in many Asian cultures. The construction materials used in the chopsticks set are also something to think about. Bamboo, silver, porcelain, and stainless steel are all used to make chopsticks, with some cultures specializing in particular materials. Wooden chopsticks can be plain, lacquered, or etched with various patterns, and all of these materials can be used to make both formal and casual chopsticks sets. People may also want to consider color, to ensure that the chopsticks will coordinate with other table settings. Accessories may also be something to reflect upon when buying a chopsticks set. Many chopsticks sets come with chopstick rests which are used to hold chopsticks when they are not in use at the table, and some come with cases to hold the chopsticks so that they are not damaged or lost between meals. Cases tend to be more common with formal chopsticks, and they may be lined and padded to protect the chopsticks and prevent scratching or nicking. Chopsticks with coordinating rests and cases will be more expensive, as a general rule. In some cases, it is possible to purchase a chopsticks set which includes plates, bowls, and other accessories. These complete table sets can be very useful for people who are establishing a new home. How Do I Choose the Best Porcelain Set? What are Some Different Types of Wood Chopsticks?